“Southern Exposure: Travels in South America” will be discussed by photographer Lowell Simon at the Satellites Auxiliary’s luncheon Tuesday, April 23. Simon will speak at 12:30 p.m. in Dowling Hall Room 2315. Registration will begin at 11:30 a.m., with lunch at noon. Those who attend may bring their own lunches to the free event, or they may pay $7 — or $5 with a guest — for a box lunch that will include a beverage and specialty dessert. Cash or check payable to the Satellites Auxiliary will be accepted. Complimentary valet service will be available for the luncheon at the Medical Pavilion orthopaedic entrance. Satellites volunteers also will be collecting new stuffed animals for children in UTMC’s Emergency Department. To RSVP or for more information, call Ray or Donna Darr at 419.382.0054; Carol Okenka at 419.654.5326; or Pat Windham at 419.385.4808. The University of Toledo Medical Center, in partnership with Life Connection of Ohio, will mark the beginning of National Donate Life Month with a flag-raising ceremony Thursday, April 4. The annual event is meant to serve as a reminder of the ongoing need for organ and tissue donors, as well as to recognize those whose donations have helped save lives and those who are living today because of an organ transplant. The ceremony will begin at 10 a.m. outside UTMC’s main entrance, near Mulford Library. Attendees will include hospital leaders, officials from Life Connection Ohio, and two women who will speak about how their lives were changed after organ transplant surgery. One of the women scheduled to speak received a life-saving kidney transplant at UTMC in 2018. More than 110,000 Americans are currently awaiting organ transplants, and a new name is added to the nation’s organ transplant waitlist every 10 minutes. Approximately 80 percent of those on the waitlist need a kidney. UTMC is northwest Ohio’s only organ transplant center. In 2018, the hospital performed 88 kidney transplants. The hospital also will be raising money throughout the month of April with a bike raffle to offset the cost of sending a UTMC transplant recipient to the 2020 Transplant Games in New Jersey. • Friday, April 12, during Blue and Green Day all day throughout the hospital. Everyone is encouraged to wear Donate Life colors to promote the need for registered donors. • Wednesday, April 17, from 11 a.m. to 1 p.m. at an educational table outside the Four Seasons Bistro. • Friday, April 26, from 11 a.m. to 1 p.m. at an educational table outside the Four Seasons Bistro. For more information on organ and tissue donation or to register as a donor, visit the Donate Life Ohio website. When a beloved colleague died last spring, Michelle Smith and Julia Benfield wanted to do something to recognize their friend’s unwavering dedication to the field of nursing. Smith, who recalled hearing about nursing honor guards while attending nursing school in Pennsylvania, sought out a local chapter. Michelle Smith, left, and Julia Benfield, nurses at The University of Toledo Medical Center, started the Nurses Honor Guard of Northwest Ohio to pay tribute to peers who have passed away. As part of the service, a Florence Nightingale-inspired lamp — like the one they are holding — is given to the family. “There was nothing around this area, but it was really important to us that we honored her,” Smith said. 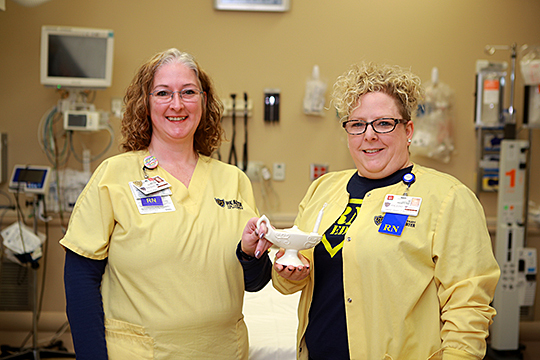 Benfield and Smith, both of whom are nurses in The University of Toledo Medical Center Emergency Department, rounded up a few co-workers and launched the Nurses Honor Guard of Northwest Ohio. “It’s similar to honoring police or military members when they pass away. Nursing is another public service that deserves recognition,” Smith said. The Nurses Honor Guard of Northwest Ohio is actively recruiting new members so it can participate in more services. Each requires at least four individuals and it can be difficult to match up schedules from a small group of volunteers. Smith hopes they’ll soon have the personnel to offer their services more widely through the community. As part of the solemn show of respect, members of the Nurses Honor Guard of Northwest Ohio wear traditional all-white uniforms along with a cap and blue cape. The ceremony is heavy with imagery of Florence Nightingale, the British woman who is widely credited as the pioneer of modern nursing. After a poem is read, the deceased’s name is called out three times, signaling their final roll call. The honor guard then extinguishes the flame from a Nightingale-style lamp, which is presented to the family, and lays a single white rose on the casket. Members have performed three services in the last 10 months, two of which were for fellow UTMC employees. Benfield acknowledged the job can be demanding — there are long hours, holiday and weekend shifts, and high-stress situations — but she also said the career is something that brings a great deal of pride and becomes a huge part of most nurses’ lives. The Satellites Auxiliary at The University of Toledo Medical Center will host a local audiologist and philanthropist for an educational luncheon Tuesday, March 26. 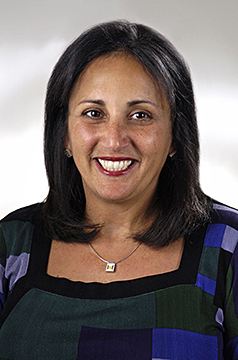 Dr. Randa Mansour-Shousher, who earned her bachelor’s degree from UToledo before going on to the University of Michigan to earn her master’s degree, has been practicing audiology since 1981. She also holds a doctorate of audiology from A.T. Still University. Mansour-Shousher currently is the director of the Northwest Ohio Hearing Clinic, which has locations in Perrysburg and on UToledo’s Health Science Campus. In addition to her practice, Mansour-Shousher has been involved in a number of humanitarian efforts, including trips to the Middle East and Africa to provide hearing screening and treatments and distribute hearing aids collected in the United States. Mansour-Shousher will speak Tuesday, March 26, at 12:30 p.m. in Health Education Building Room 105. The event is open to the public. Cost to attend is $7 per person, or $5 with a guest. Students may attend for free. Reservations are requested by Friday, March 22: Call Ray and Donna Darr at 419.382.0054, Carol Okenka at 419.654.5326, or Pat Windham at 419.385.4808. Free valet parking will be available at the Medical Pavilion orthopaedic entrance. Some of Christian Siebenaler’s earliest memories were of his father, a Toledo-area physician, going off to help people. “It sounds cliché, but since I was 5 years old seeing him go to work every day in his white coat, I knew I wanted to be a doctor,” Siebenaler said. Kevin Litzenberg showed his match to Ohio State University Medical Center to his fiancee, Shireen Desai, as his brother, Joshua, watched Friday during the Match Day ceremony. Litzenberg will specialize in internal medicine. He got his own white coat four years ago when he entered The University of Toledo College of Medicine and Life Sciences. Now, as he prepares to graduate with his medical degree, he knows he’ll begin practicing right where he wanted. 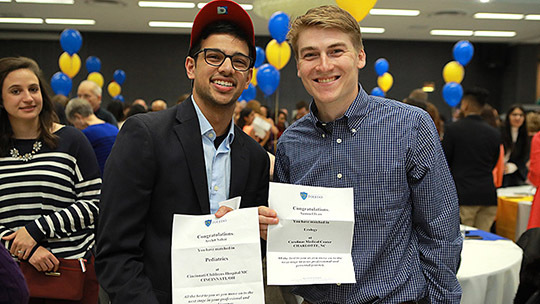 Siebenaler, who is specializing in physical medicine and rehabilitation, was one of 20 UToledo students who paired with the University’s residency program at this year’s Match Day event. The annual celebration is a seminal event for next-generation physicians. At exactly noon, an eager swarm of fourth-year medical students received envelopes that revealed where they will spend the next three to seven years in residency as they train in their chosen specialties. 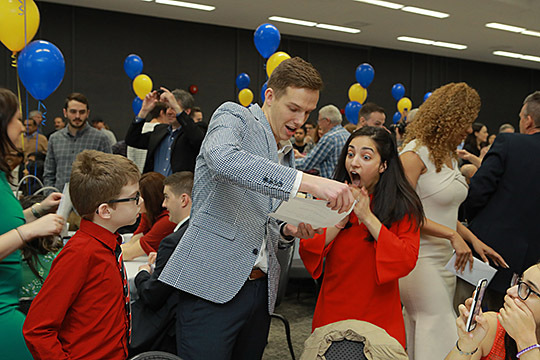 A total of 165 UToledo medical students matched this year. Notably, there was a 33 percent increase in the number of students who matched with UToledo over last year. Mariah Truscinski was one of them. Truscinski, who grew up just a couple of miles from Health Science Campus and completed her undergraduate degree at UToledo, matched in emergency medicine. Already involved in community volunteer work, she was thrilled to open her envelope and see she matched with UToledo. Archit Sahai, left, and Samuel Ivan showed off their letters during the March 15 Match Day ceremony. Sahai matched in pediatrics at Cincinnati Children’s Hopsital, and Ivan matched in urology at Carolinas Medical Center in Charlotte, N.C. In all, UToledo’s fourth-year medical students matched in 23 specialties at institutions in 28 states. Forty-four percent of UToledo’s students matched in primary care specialties. Archit Sahai, who was born in central India, moved with his parents to Cincinnati when he was 3, and became a U.S. citizen in September, matched with the University of Cincinnati in pediatrics. Sahai, whose father is a neurologist at UC, had high praise for both Toledo and the College of Medicine, saying he’d like to return here eventually. 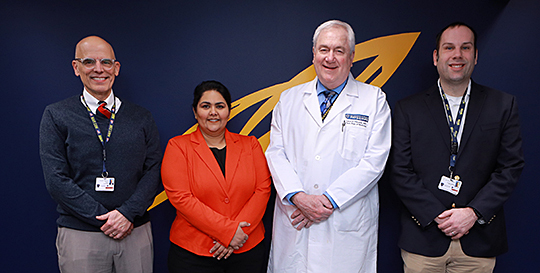 Among the other institutions where UToledo students will do their residency work were the Mayo Clinic, Massachusetts General, the University of Michigan and the Cleveland Clinic. Ohio was the most popular state, followed by Michigan, Pennsylvania, California, Indiana and New York. Watch the Match Day video. 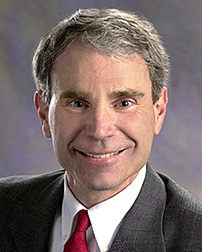 Richard Swaine has been named the new chief financial officer for The University of Toledo Medical Center. He is scheduled to begin this month. Swaine joins UTMC from Beaumont Health System in Southfield, Mich., where he worked since 1985. He most recently served as senior vice president and hospital president of the 280-bed Beaumont Hospital Grosse Pointe. At UTMC, he will be responsible for the financial operations of the hospital and associated clinics. Swaine holds a bachelor’s degree in accounting from Lawrence Technological Institute and a master’s degree in finance from Walsh College. It’s all about comfort: Sheets, pillows, socks, towels and more will be featured at a sale hosted by the Satellites Auxiliary Thursday, Feb. 14. Stop by between 7 a.m. and 4 p.m. in UT Medical Center’s Four Seasons Bistro Atrium. Proceeds will benefit Patient Care Programs at the hospital. 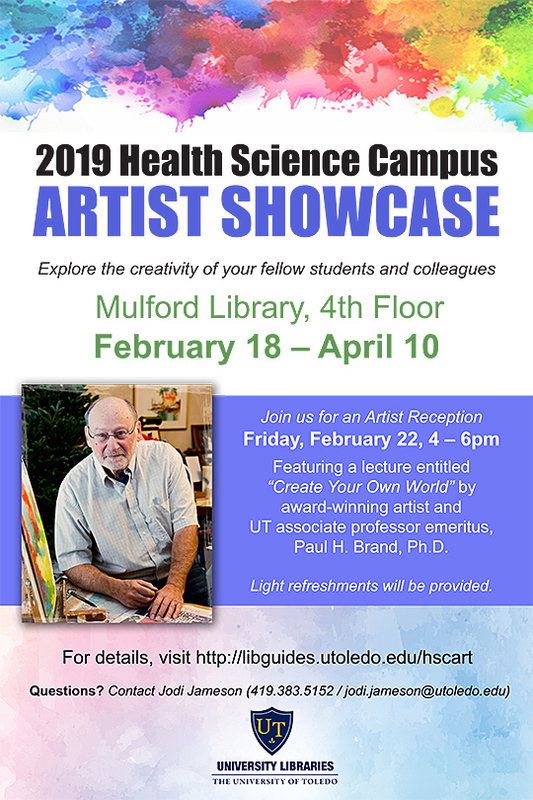 For more information, contact Brand at lynn.brand@utoledo.edu.